India’s first woman photojournalist, Homai Vyarawalla photographed the last days of the British Empire and her work traces the birth and growth of a new nation. The story of Homai’s life and her work spans an entire century of Indian history. Belonging to the cosmopolitan Parsi community of India, Homai was born in 1913 into a middle class home in Navsari, Gujarat. Her father was an actor in a travelling Urdu-Parsi theatre company and Homai grew up in Bombay where she was the only girl in her class to complete her matriculation examination. She learnt photography from her boyfriend Maneckshaw, some of her earliest photographs being published under his name. The great value of Homai’s work lies in her vast collection of photographs that archive the nation in its infancy documenting both the euphoria of Independence as well as disappointment with its undelivered promises. 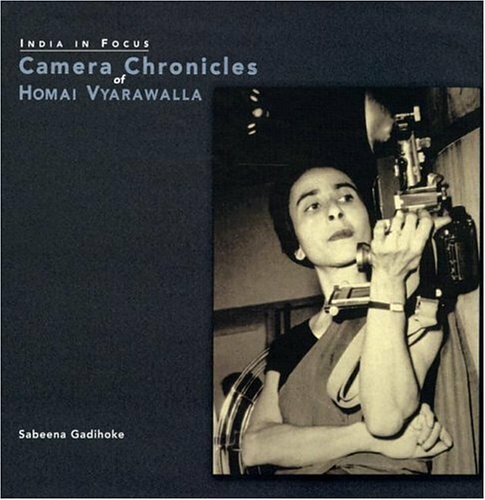 Homai Vyarawalla was the only professional woman photojournalist in India during her time. Her survival in a male dominated field is all the more significant because the profession continues to exclude most women even today. Ironically, Western photojournalists who visited India such as Henri Cartier-Bresson and Margaret Bourke-White have received more attention than their Indian contemporaries. In this already invisible history, Homai Vyarawalla’s presence as a woman was even more marginalized. This book acknowledges her role as a pioneer among women and her contribution to early photojournalism in India.